We finally picked a venue...we finally picked a venue...hey, hey, hey! We FINALLY found one we liked & were completely impressed with. No more wedding venue blues for us! I'm searching and searching now for the PERFECT invites and save the dates. I kind of need the save the dates done fairly soon. Yay for picking a venue! Our wedding was small so we did not do Save the Dates. My sister did though and we designed them in Photoshop and had them professionally printed. Her guests loved getting them in the mail! Congrats!!! That's a HUGE check off your list! 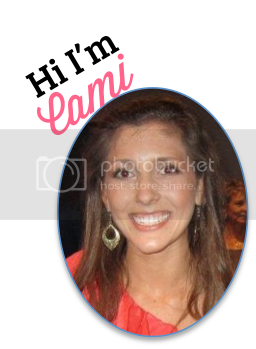 Hi Cami, I am so happy your wedding plans are moving along. This is the biggest moment in your life until you decide to have a baby. BIG smile here. So enjoy every bit of the planning process. The 'save the date' issue is something rather new and I too wonder if it is necessary. Your wedding list will be people who are family and good friends. They all know you will be getting married. What about getting email addresses and sending it through the net? Not hard and no cost. Weddings cost so much as it is so save where you can dear. For example: I have a list of my garden club members and in one click I can send info to them all. Make a separate file for your wedding list and it is so easy. Thank you for your sweet comment on my post. I am so happy to have more time for my blogging friends. I enjoy doing a thankful post so I hope to keep them coming on Thursday. Wishing you happy days with many blessings. YAYAY!!! Congrats on picking a venue!! I had the hardest time with that too. But I felt so relieved after I finally did. We are about to send out our save the dates in a week or two. The girl who did our engagement pics is also a graphic designer so she did a custom save the date design for us. It was only $25 for her design + the cost of printing. I am so excited for you!! I cannot wait to hear the other details! I did Save the Dates, but I totally regret the route we went! It was before I realized how much I could DIY and I paid so much for them. Weddingchicks.com has some fantastic DIY save the dates and invites suites that you can download and customize for free! For my sister's save the dates, and also our thank you cards and at home reception invites, I ordered from vistaprint when they had 100 postcards for free! To upload our design (from weddingchicks for her save the dates, for me it was a photo) and get them shipped it was under $9!!! Another idea, for my Sister's invites I ordered a design from Etsy. It was $12 for the pdf and I sent it to walmart and printed 5x7's for the main invite. It was under $13 for printing. Annnd, I'm rambling!!! I hope you are having a BLAST planning! Have you checked out projectwedding.com?? I used it obsessively while planning! Yay! I remember after picking our venue how excited I was. It was one of the first things we did and I am so glad it is out of the way. We now have the venue, my dress, photographer, engagement pictures and soon to be caterer out of the way. As soon as I get the pictures back from our engagement pictures I am going to be finishing our save the dates. I actually am making them myself and if you want any help on this just shoot me an email I would love to help you with them. They are super easy! I don't know how crafty you are but I decided that I am also making our wedding invitations myself. I got a lot of inspiration from pinterest and the wedding chicks website has a free invitation suite on there that I played around with. Once again if you want any help please feel free to ask! Congrats on finding a place!! So glad you found a venue!! One of the biggest things on your list is now DONE!! We did Save The Date magnets, that we stuck in our Christmas cards since the wedding was about 6 months after Christmas....this helped us save on postage BIG TIME!! We did photo cards for our Save the Dates in a postcard size to save on postage. I got a deal (free!) from a local printer that I have a business relationship with, but if I had to order/pay for them, I think I'd use Shutterfly. They run awesome deals all the time. If you have a lot of people coming from out of town, then I'd definitely send Save the Dates. This is what you do for save the dates! Go to staples, they have plenty of different stocks you can pick from that are compatible with microsoft word. So you download the template in word and you can type up the text however you want. It's a good option cause you get the look you want, while having direct control over the wording and layout without going back and forth with someone else, and they aren't expensive! You print them at home, and what I did to add some spice to ours was whole punch a whole, and tie a twine bow. Ahhh, so exciting!! We did std's as magnets. I was lucky, my friend worked for a printing company and I got 150 magnets for $35! So happy for you, dear! I know that's a relief! We didn't do save the dates, but if I had I would have done the magnets. I think they are super cute. :) I would consider them a fun extra, but not necessary. Make Save the Dates on Vistaprint! Super cheap and they are simple. You can even do postcards to save on postage. I think you should do save the dates because they can be very cheap and theyre nice for guests to get! :) As far as invites go - I made my own from a template on weddingchicks.com and printed them on invite kits I got at Michaels! Good luck! I didn't do save the dates. I did make a postcard/wrote a letter though, that I sent out to my family members, because I knew I couldn't invite EVERYONE. I've grown up knowing ALL of my extended family. My dad's dad is 1 out of 14 kids. I am 1 out of 101 great grandkids...and that's JUST my dad's dad's side! We knew we wanted around 100 guests, so I couldn't invite EVERYONE! I sent them all a letter with an engagement announcement postcard and told them how much we love and appreciate them and wished they all could be there, but explained our situation. Then, we sent invites out months later only to those we were inviting. Everyone who we were inviting already knew when our wedding was, so save the dates were unnecessary for us. We used 123print.com for our engagement announcement postcards, invitations, and RSVP cards. They came with envelopes and were wonderful...and INEXPENSIVE! We seriously saved hundreds of dollars by using them. I highly recommend them to anyone! My advice is to NOT spend too much on the invitations. People throw them away. I always thought it'd be perfectly acceptable to do emails and phone calls to tell people to save the date. Yes, I have given this a lot of thought, even though we got married in a courthouse lol. I figure that one day we'll have a ceremony on our 10th anniversary or something and I'm already planning that.